Soup's On! includes 75 tempting and delicious recipes from some of world's most respected chefs and cooking teachers. Highlights include creamy vegetable soups, enticing seafood soups, and hearty classic stews. Plus, a portion of the proceeds will go to NextCourse, a nonprofit organization that advocates the importance of healthy food for the physical and mental well-being of adults and children. 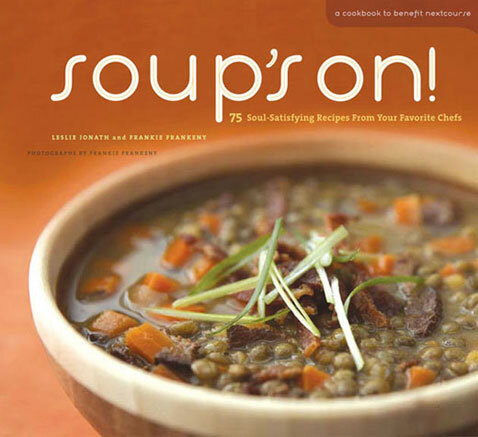 With Soup's On!, readers will not only nourish themselves, they'll be feeding others as well. Recipes from celebrated chefs: Jacques Pépin, Alice Waters, Thomas Keller, Charlie Trotter, and more!